In the early hours of Sunday morning the message came through to say that Hannah's labour had begun. I knew things could progress fast and I also had a bit of a drive ahead of me so I jumped out of bed, grabbed my camera and got straight in the car. Darren greeted me at the door soon after 5am and as I walked inside, I felt such an incredible sense of peace in the home. The lights were low, the birth pool was filling up, the midwives were sitting at the table quietly talking whilst getting their paperwork ready and the two older boys were fast asleep in their beds. 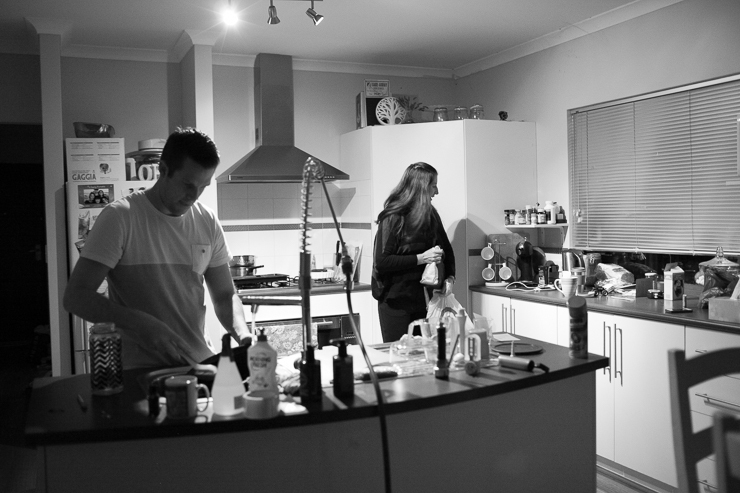 Darren was washing dishes and making Hannah a cup of herbal tea whilst she happily chatted away, stopping to lean over something as she breathed through each contraction. The contractions kept coming, each one increasing in intensity and through it all Hannah remained so incredibly calm and peaceful, riding out each wave with Darren by her side, reassuring her and rubbing her back. 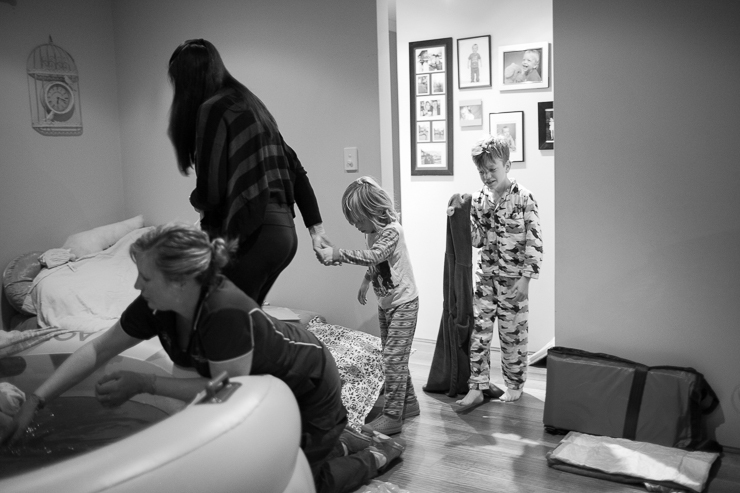 The labour progressed quickly and Hannah's Mum, Lindy arrived as she was nearing transition. They laughed together as she stroked Hannah's belly in the quiet moments between contractions, noticing how the shape of her belly was changing. By then, Hannah could feel that bub was right down low and knew it was time to get into the pool. After a few pushes Hannah brought her little girl up through the water and into her loving arms. The look of relief and love on her face says it all. It was such an incredibly beautiful and sacred moment and I felt so honoured to be able to capture those first few moments of new life. Just minutes later, both big brothers woke up and came out of their bedrooms to discover that their baby sister had been born. 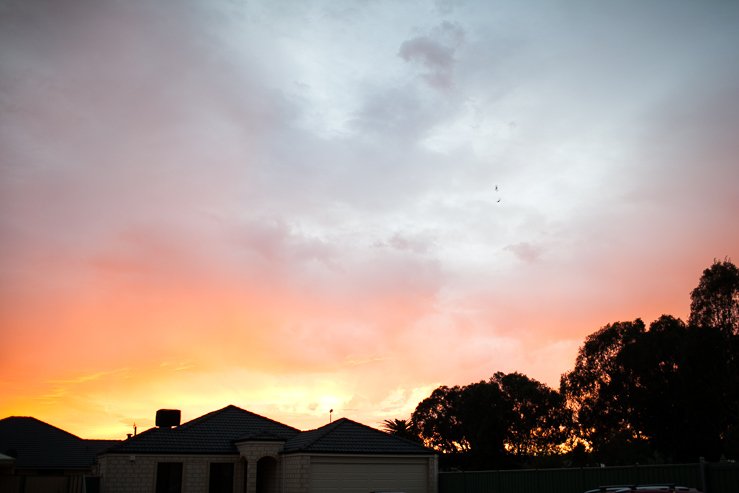 I pulled back the curtains as the sun began to rise, to see the sky all lit up in the most stunning pink. A beautiful welcoming for a much loved baby girl. As I headed out the door to make my way home, the first text messages were being sent out and pancakes were being made. I arrived home to a dark, quiet house, all three of my loves still cuddled up in bed. I jumped under the covers and squeezed them all tight, feeling incredibly grateful for the wonderful gift of life.